Værste Bridge crosses the Vester River in Fredrikstad, from the mainland to Kråkerøy island. 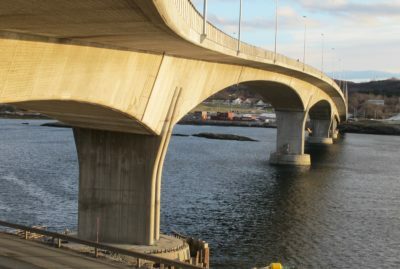 The bridge’s name derives from ‘Værste’, the old Fredrikstad Mekaniske Verksted workshop which used to be located at the bridge’s landing point on the Kråkerøy side. 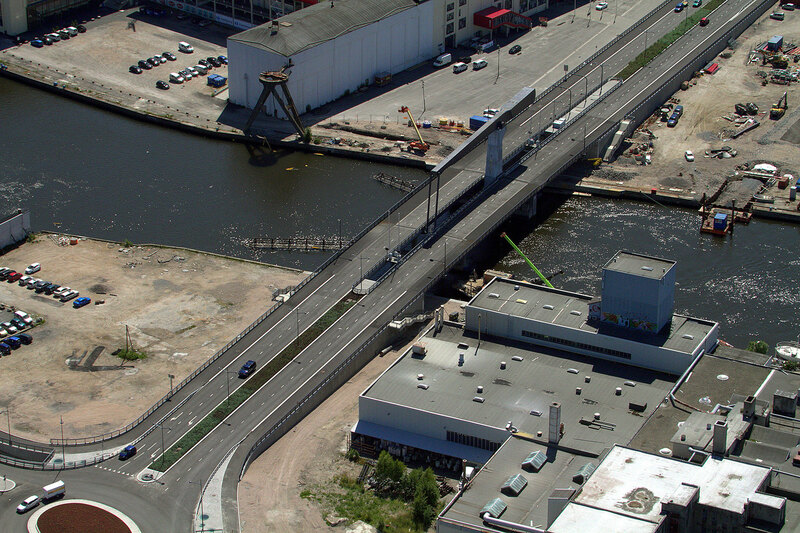 The concept phase for the construction of a new bascule bridge over the Vester River took place in 2004, when Aas-Jakobsen proposed a bascule bridge with an overhead balanced beam, described in the literature as a ‘Dutch style bascule bridge’. Its design is reminiscent of the remaining cranes at ‘Værste’. A group of consultants led by Aas-Jakobsen was asked to develop a preliminary project with cost estimates for a bascule bridge with overhead balanced beam in 2005. The Norwegian Public Roads Administration went on to decide that the project should be executed as a DBO contract (Design-Build-Operate). 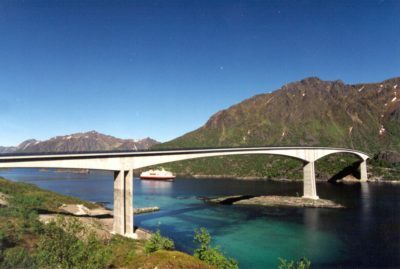 That was the first time that this would be tried out on a bridge project in Norway, and Aas-Jakobsen and its sub-consultants were chosen to prepare the complete tender documentation. Since only one tender was submitted for the DBO contract, the concept was abandoned. It was then decided that the project should be split into several unit-rate contracts, with the detailed design being performed as a separate contract. Aas-Jakobsen and its sub-consultants were awarded the detailed design contract. Construction was divided into the following contracts: Foundation work, bridge work, hydraulics and electrics. The bridge has three spans and a total length of around 100 m. The four-lane bridge deck is split across the middle, with the balanced beam and tower centrally located between the traffic directions. The tower is made from concrete, while the balanced beam and movable leaf are 30 metres and made from steel. The side spans are made from concrete with suspended walkways in steel. Sailing height under the leaf is 5.5 metres in the closed position, unrestricted in the open position. 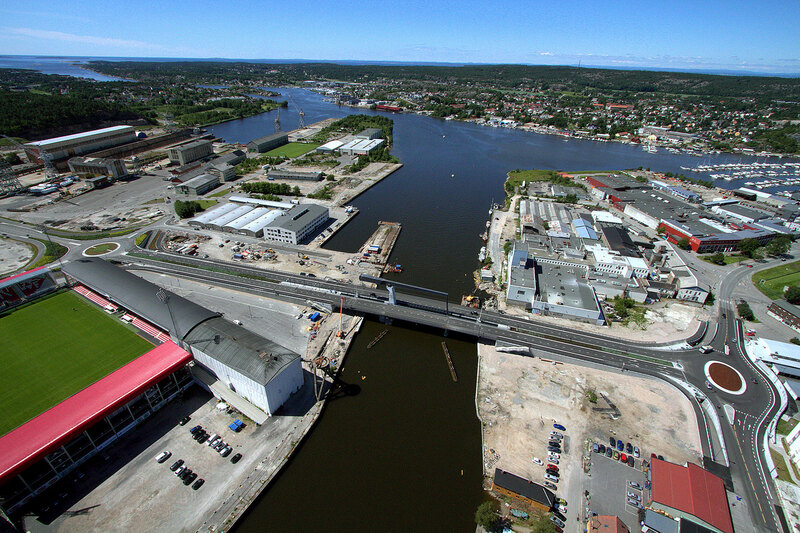 Værste Bridge has become a landmark in the centre of Fredrikstad, and an important traffic artery for people wanting to get from the mainland out to Kråkerøy, which has further connections south to the island municipality of Hvaler. 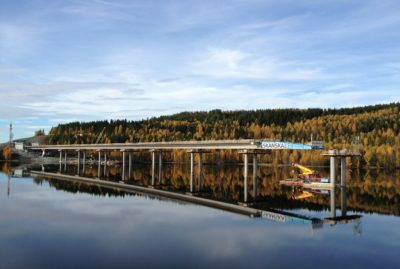 The project has been an enormous challenge for Aas-Jakobsen and its sub- consultants, particularly because very few bascule bridges of this size have been built in Norway in recent years. This meant that much of the information had to be obtained from abroad, primarily from the Netherlands, where this type of bridge is more common. The data and experience acquired will be important to the design and construction of new bascule bridges which will be built in Norway in the future.